The alarm was set for 7:30 a.m. on September 16th but Gene Zaleski didn't need it to awaken him this morning. Wedding day nerves and a snoring best man, Mario, in the adjacent bed, pretty much squelched any opportunities for sleep. Awake, Gene decides to text his fiancé, soon to be wife Sally Leslie, to see if she is awake. Sally responds with an affirmative noting she too has had a difficult night sleeping. It was not the first time and won’t be the last that two hearts were joined in synchronous manner. Love first began on June 16, 2010 with a simple Instant Message hello. 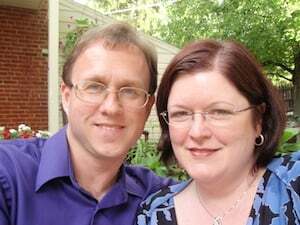 Prior to uniting in the Sacrament of Holy Matrimony, Sally and Gene united online beginning a long-distance courtship before Sally moved to South Carolina to be with Gene. Their love would continue to blossom and in 15 months, the wedding day had arrived. And so Sept. 16 had arrived and morning preparations filtered into the afternoon as both Sally and Gene prepared for the moment both had been anticipating. The wedding is held at Holy Family Catholic Church in South Deerfield, Massachusetts. Sally and Gene arrive at the church early and find a secret place out of the sight of each other and wedding arrivals. A prelude concert and the sounds of Ludwig Van Beethoven’s Piano Trio No. 1, 1st Movement - Allegro softly filter into the sacristy where Gene, dressed in a traditional English morning suit, prepares for the moment when he's finally able to gaze upon his beloved bride. Sally soon walks down the church aisle dressed in her ivory and Champaign-colored Casablanca wedding dress. With sparkling Swarovski crystals and sequins at the neckline, Gene is blown away by the beauty of his beloved. Enraptured in the other, Sally and Gene sore above time and place and the eternity of God seem to intersect with time and incarnates in their lives. All is forgotten except the other as both exchange their marriage vows and promise to love until death do them part. The wedding Mass is over. It's time for the reception at a medieval-styled banquet hall, the Castle of Knights, in Chicopee, Massachusetts. As Gene feels the closeness of Sally while dancing their last song, “Save the Last Dance for Me”, thoughts of the upcoming honeymoon come to the fore. The chosen location for the nine-day honeymoon, though unique, seemed to make a lot of sense. An agreement would be reached. Yes, Gettysburg would be the honeymoon destination symbolizing love and reversing the past animosity of North and South. Sally and Gene scheduled Sept. 17 to Sept. 21, a five-night stay at The Brickhouse Inn, an 1898 three-story Bed and Breakfast. The Victorian mansion was said to have quite a past. Some reports told of ghostly occupants and mysterious happenings at the hotel once occupied by Confederate sharpshooters during the height of the battle. The reverie is broken as the last song ends the excitement of love blossoming like a spring flower. Sally and Gene approach their silver 2006 Chevy Cobalt. The vehicle did not quite look the way it did just a few hours before. 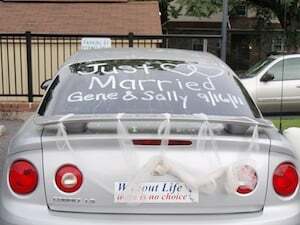 White wedding streamers and white window paint proclaiming “Just Married Gene & Sally 9/16/11” were visible for the motorists on Interstate 91 and Interstate 81 to see. 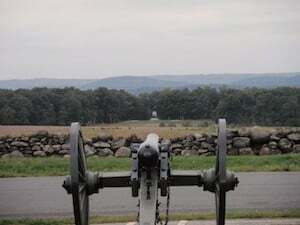 After a stay at a Massachusetts hotel, the 600-mile trek to Gettysburg began. The journey is passed laughing, providing little kisses and singing along with love ballads recorded on a special wedding compact disc by their disc jockey. As daylight recedes, Sally and Gene arrive at The Brickhouse Inn and ready for check-in at the Texas Room. The Texas Room is located on the first floor front of the 1830 Welty House, the original parlor of the Welty family. A grand, queen canopy bed creates the centerpiece of the quaint dwelling while an electric fireplace awaits its use. Wide-plank pine floors and beautiful stained glass windows create the perfect romantic getaway. The experience is new for Gene. He has never experienced a bed and breakfast before. But as luggage is unpacked, a familiarity of the ancient mansion grows on him. Gene is familiar with old houses. After all, he grew up in one and has a sense he is not alone. With a suitcase in one hand, Sally approaches the closet door and reaches out her lovely hand toward the doorknob. She places her hand on the knob and attempts to open the door to no avail. Gene attempts to do the same but the door still does not open. After several futile attempts and an investigation of the door revealing no problems, a final turn of the knob opens the door. CREEEKKK! The door would come back to haunt the newlyweds later in the honeymoon. As darkness envelops the Brickhouse and sounds of footsteps and other mysterious noises fill the home, the Zaleskis’ nod off to sleep. Daylight arrives and Sunday morning finds the Zaleskis’ traveling to the Emmitsburg, Maryland campus of Mount Saint Mary’s Seminary for Sunday Mass, and a tour of the sprawling grounds. They visit the National Shrine Grotto of Lourdes, the oldest known replica of the revered French shrine dating to about 1875. The original Lourdes apparitions were in 1858. Next, the couple head back to the Brickhouse Inn and is shocked by the sight in front of them as they entered their room. The closet door, closed upon leaving earlier in the day, was open. A door so difficult to open just a day earlier had apparently opened on its own. Gene closes the door hoping the closing would also bring a closure to the creepy and unexplainable occurrence. It was the last experience the couple had with the door but another night would bring more of the unexplainable. The time is around 4 a.m. and Sally is awakened by voices. She thinks the sound is coming from the clock radio but the radio is not turned on. The house is still, and within seconds, the voices stop. There are no other ghostly incidences. It appears both Sally and Gene are going to survive to live another day. The couple later dines at the historic 1776 Dobbin House Tavern. Under the dim of candlelight in a booth made just for two, Gene and Sally once again lock the world outside and gaze upon the beauty of the other. The booth, outfitted like a four-poster bed, is the only one made for two. Monday brings with it a vehicle tour to the battlefields including stops at Little Round Top, Big Round Top, and the High Water Mark. As a chill grips the air and fluffy clouds float by, Sally and Gene reflect upon the lives lost, the struggles endured, and the heroism displayed on the fields in Gettysburg long ago. During the remainder of Gene and Sally’s time in Gettysburg, the couple tours the Gettysburg National Cemetery, the Gettysburg Cyclorama, and the Gettysburg Museum. The cyclorama painting by the French artist Paul Philippoteaux depicts Pickett’s Charge, the climactic Confederate attack on the Union forces during a battle on July 3, 1863. The tours of the battlefield and the history surrounding the City of Gettysburg are educational and leave both Sally and Gene with a greater appreciation for the sacrifices made by those involved and the hardships experienced. Then there was the search for the spirits of the deceased. Built in 1810, The Farnsworth House Inn was the shelter for Confederate sharpshooters and the abode of one little boy, who legend tells, died a tragic death. A ghost hunt in the house’s cellar, complete with digital audio recorders and an Electromagnetic Field Detector, are used to contact the spirit of this young lad. 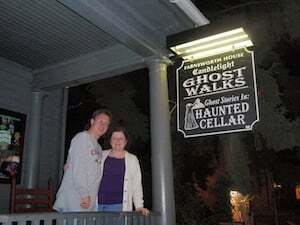 The EMF Detector indicates the presence of a spirit, but beckoning forth the dead is unsuccessful. It is a stimulating evening and one to check off on the Sally list. Prior to leaving Gettysburg, Sally and Gene both have an opportunity to share in Gettysburg’s fine vineyards. Wines named after people and places such as Jennie Wade, Devil’s Den, and Tears of Gettysburg fill their palates with bouquets fit for a wedding. As Thursday arrives, it is time for Sally and Gene to assess their stay in Gettysburg. The week was educational, exciting, and romantic. It is difficult to try to encapsulate one place or event in Gettysburg as a highlight but the battlefield was the shining star. The experience of touring the battlefield provided a sense of awe and deep admiration beyond that which they previously knew. Gettysburg is highly recommended for all but especially for history buffs and for school field trips. The hands-on experience speaks louder than the pages of a book. From fine dining to ghost tours, Gettysburg provides a perfect setting for a prince to romance his princess and new bride. 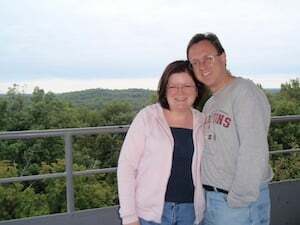 From Gettysburg, Gene and Sally proceeded to Virginia and the Luray Caverns. The Caverns were first discovered in 1878 and are adorned with columns, mud flows, flowstone, and mirrored pools. As Gene and Sally descend several feet underground, they witness God’s masterpiece. Well-lighted paved walkways lead to cathedral-sized rooms with ceilings 10 stories high. Enormous chambers with towering columns, shimmering draperies and crystal-clear pools greet Sally and Gene. Temperatures at a refreshing and constant 54 degrees Fahrenheit make for a cool trek into the subterranean mysteries. The highlight of Luray Caverns is the cavernous terrain and experience of the beauty of the sight. The enormity of the caverns and the privilege to behold just a taste of Mother Nature’s beauty is one memory that will not soon be forgotten. The Caverns are highly recommended for those interested in geologic formations and wonderful for science classes. The Caverns also have hosted many weddings and create a dimly-lit ambiance for a perfect romantic excursion. A tour of the Car and Carriage Caravan Museum is next on the honeymoon visit. The museum is a trip back into the milestones of transportation from restored cars, carriages, coaches and costumes dating from 1725 to 1941. The vehicle display is a veritable trip down memory lane and gives a greater insight as to how far the genius of the automobile has come. From the Luray Caverns, Sally and Gene proceed to Charlotte, North Carolina to top off their honeymoon with a Eucharistic Congress on Friday, Sept. 23 and Saturday, Sept. 24. Gene had informed Sally about the Congress in the past and both she and Gene thought it would be a wonderful way to bookend the honeymoon. What began as a marriage in the eyes of God ends up with a weekend of worshipping and adoring God in His Real Presence in the Eucharist. As God in His humility revealed in the Eucharistic Host incarnates His love in humanity, Gene and Sally are called to share in the same in their lives as a married couple. Giving of each other, Sally and Gene become a sign and sacrament to the world of God’s Love and self-sacrifice. The Congress is highly recommended especially for practicing Catholics who want to deepen their devotion to the Eucharistic Lord but also to anyone. The time is a great experience for developing one’s prayer life and expanding one’s horizons and to gain a better understanding of the Catholic Church. And so, the nine-day honeymoon of Sally and Gene traversed the entire East Coast from Massachusetts down to South Carolina. The entire cost of the honeymoon, including lodging, fuel, and entertainment was approximately $1,500, but the experience was priceless. Gettysburg, the Luray Caverns, and the Charlotte Eucharistic Congress are all intellectually and spiritually rewarding and helped us bond as a newlywed couple. Now, it has been four months since Sally and Gene said, “I do.” Married life is wonderful and we are still on our honeymoon! Each day is filled with love and romance and new adventures. “Gene, please balance an apple on your head,” Sally asks with fluttering eyelids. And so is married life. It is the greatest life; a life made just a little sweeter by visiting Gettysburg, the Luray Caverns, and the Charlotte Eucharistic Congress.